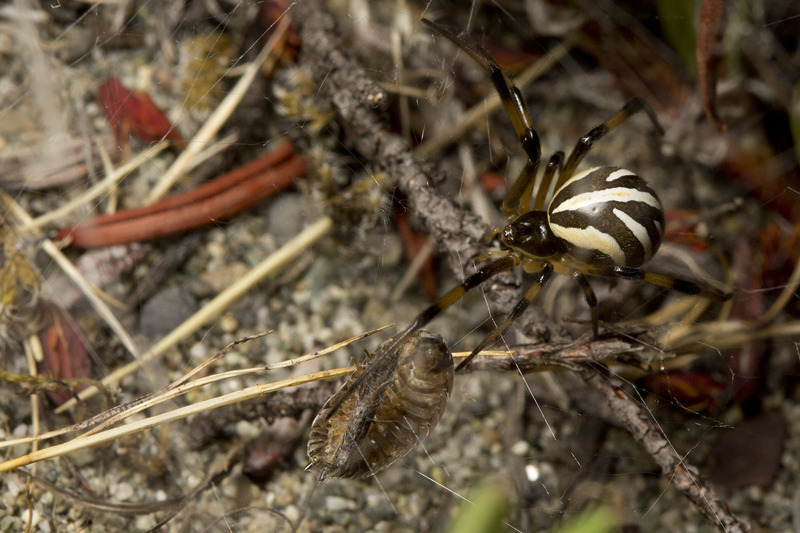 Our initial aim for me and my supervisor Dr. Brent Sinclair was to travel to the Yukon to collect spiders. 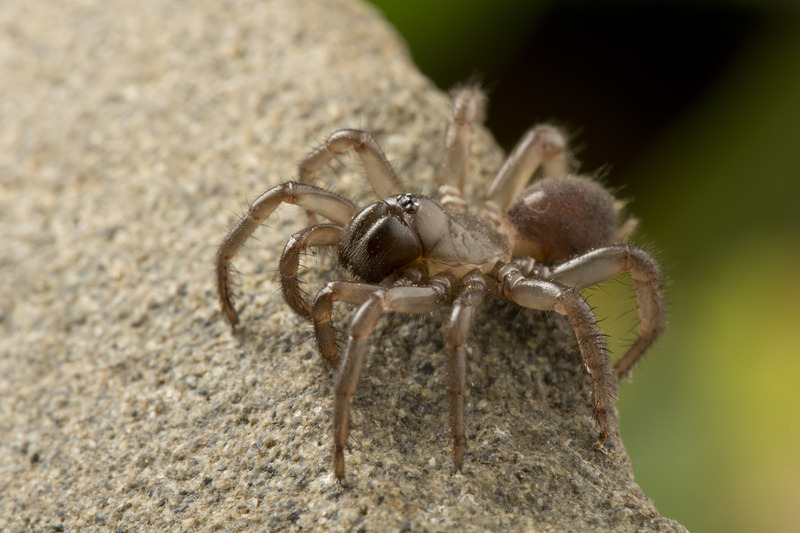 We had heard from Dr. Chris Buddle, who would meet us there, that spiders are plentiful. And indeed they were! But what we didn’t expect was to be charmed, and infinitely curious, about the tiny (max. 3mm) but feisty pseudoscorpion Wyochernes asiaticus. Our research team left Whitehorse with supplies (food, stove, 4WD vehicle, and lots of collecting containers), and spent the next two weeks exploring the tundra heading north on the Dempster Highway. 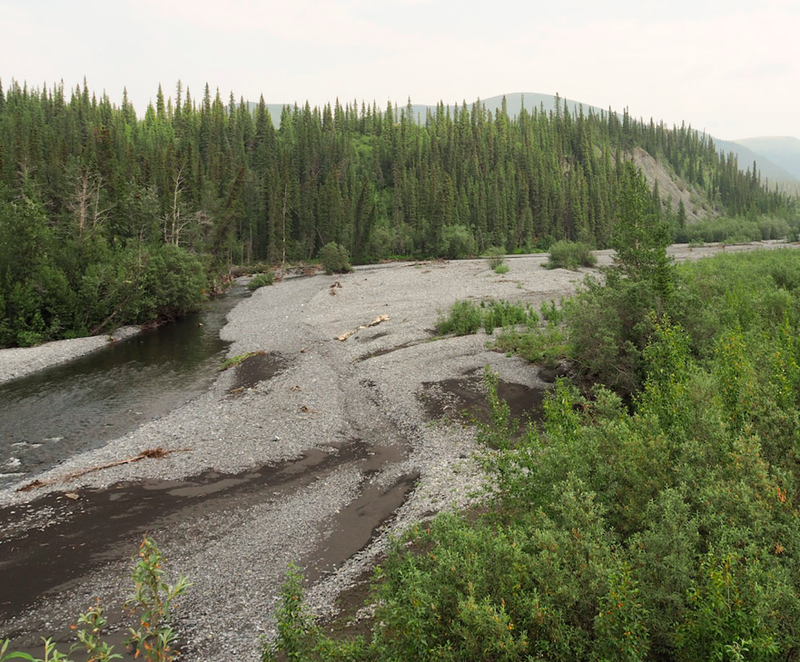 This highway is probably the only maintained road in northern Yukon, and it provided access for us to the Beringian region. As the glaciers swept much of North America during the last ice age, Beringia was the land that was never glaciated. For this reason, many of the species located there pre-date the last ice age, such as W. asiaticus. 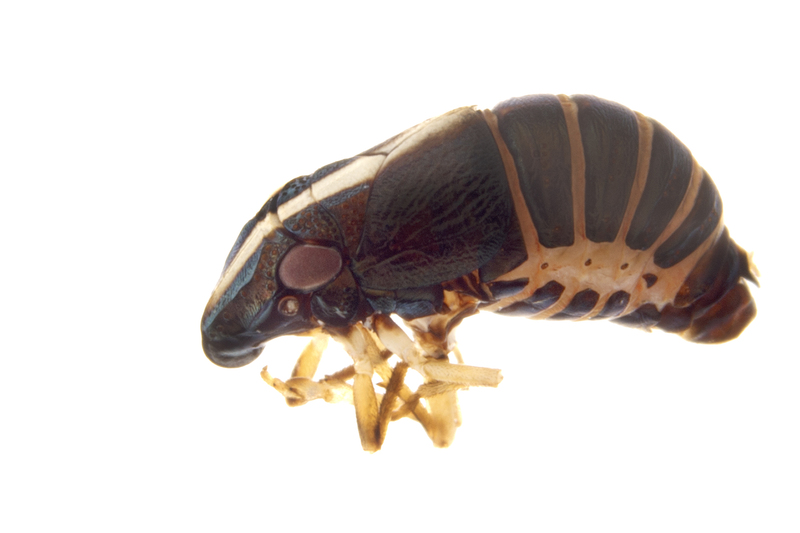 Now, this creature may not be as exciting as a mammoth or a giant beaver, but to arthropod researchers, it was very special. It was Dr. Buddle that pointed us to these creatures. He had found them on previous trips, and wanted to collect more from different latitudes (we spanned about 10 degrees of latitude on our trip). 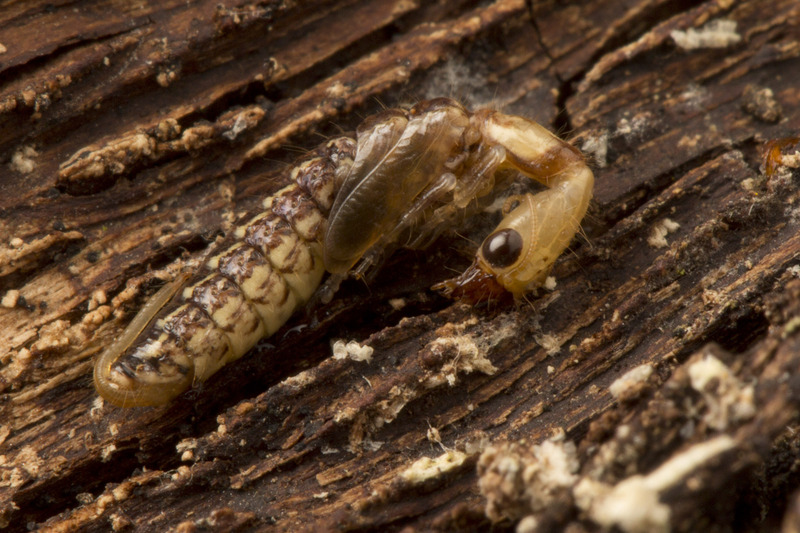 He had us help collect the pseudoscorpions: they live on the underside of flat rocks along river banks. It was while collecting them that we wondered what they did for the rest of the year. They would not only have to withstand the grueling cold of an Arctic winter, and they were also in an area that would experience periodic flooding. We wanted to see what their tolerance is for cold and for submergence. 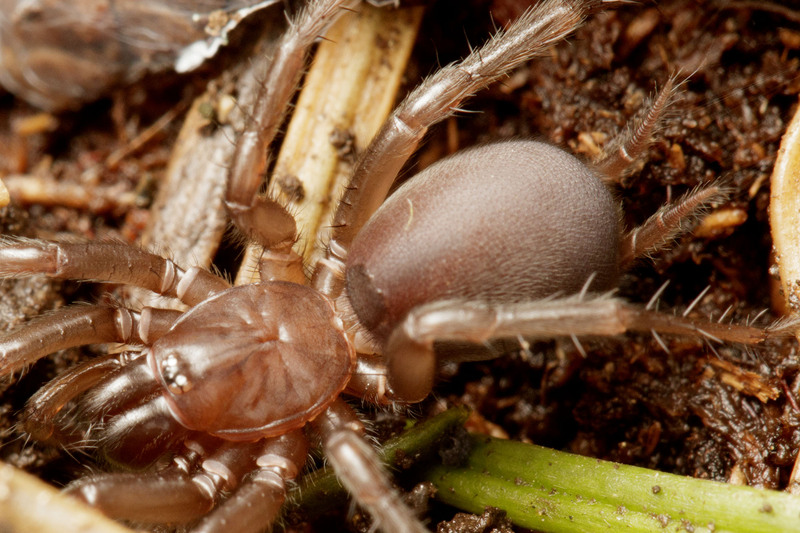 We packed them up, and brought them back to our lab at the University of Western Ontario, along with about 600 spiders. 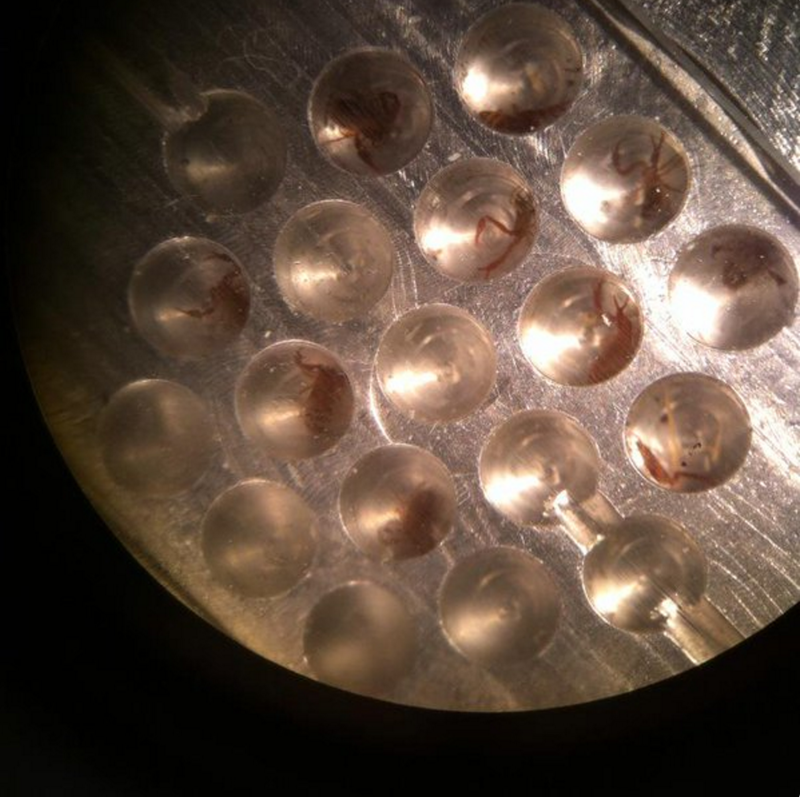 When back in the lab, I measured freezing point, their critical thermal minima and maxima (CTmin and CTmax; the limits of activity) of the pseudoscorpions. Their freezing point, and whether or not they survive freezing, gives us an idea of their ability to survive the frigid winters in the Arctic. We are interested in CTmin and CTmax because they are good ideas of their ecological limits, if they can’t move, they can’t feed or defend themselves. What we discovered is that these little critters have very poor cold tolerance. They don’t survive freezing, and roughly -4°C, they can’t move. The Arctic gets much, much colder than that. Our only guess is that they seek very effective thermal refuges in the winter, or somehow adjust their cold tolerance through the year, much like many insects. 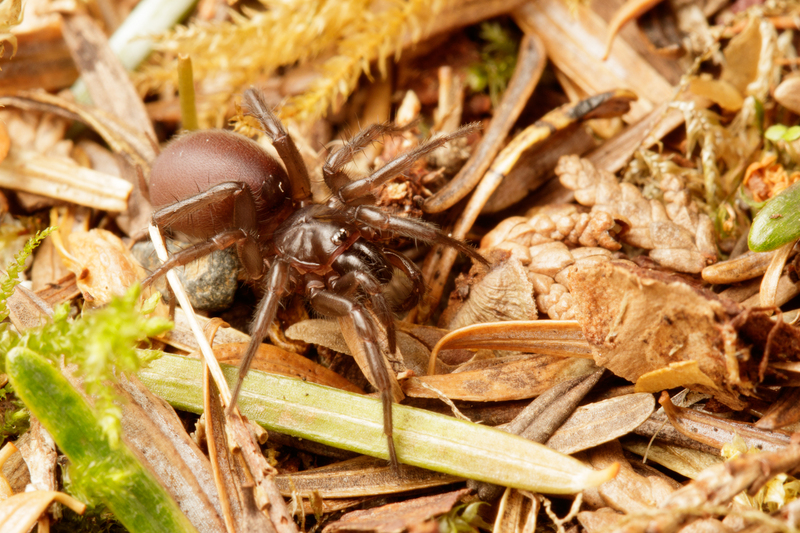 Speaking of seasonal change, we found W. asiaticus along the stream. Undoubtedly, their homes will be flooded seasonally. Do they migrate further up from the stream? Do they swim? Or do they bring a bubble of air down with them, like the diving spiders? It seemed at first that they held a bubble of air between their abdomen and the rocks that they latch onto. They survived for a week in highly oxygenated water (same survival as the ones who weren’t underwater). However, it was also the same survival as those submerged in low oxygenated water. Half of them even survived 2 weeks in the low oxygenated water. We concluded that they can tolerate being underwater, but they likely don’t rely on oxygen coming from the water around their air pocket. Our trip up North to collect spiders gave us a great surprise. 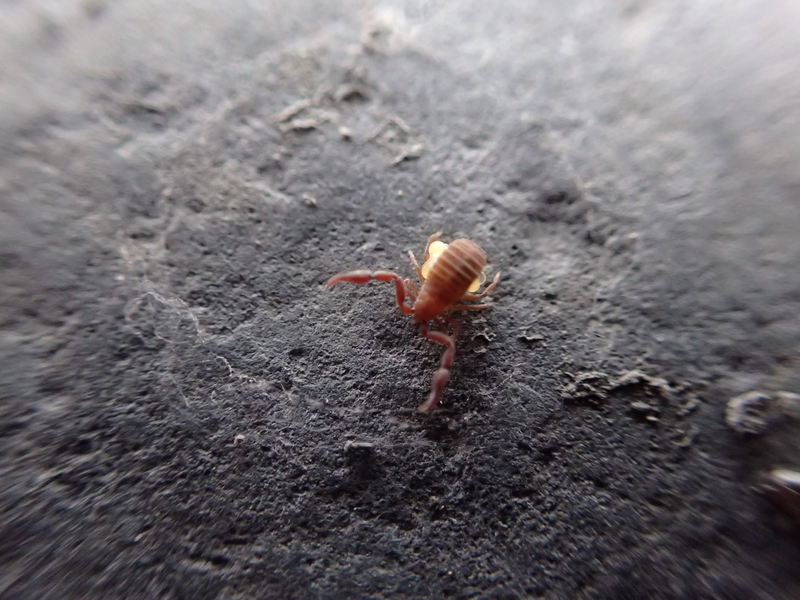 A small pseudoscorpion on the banks of the streams caught our attention. 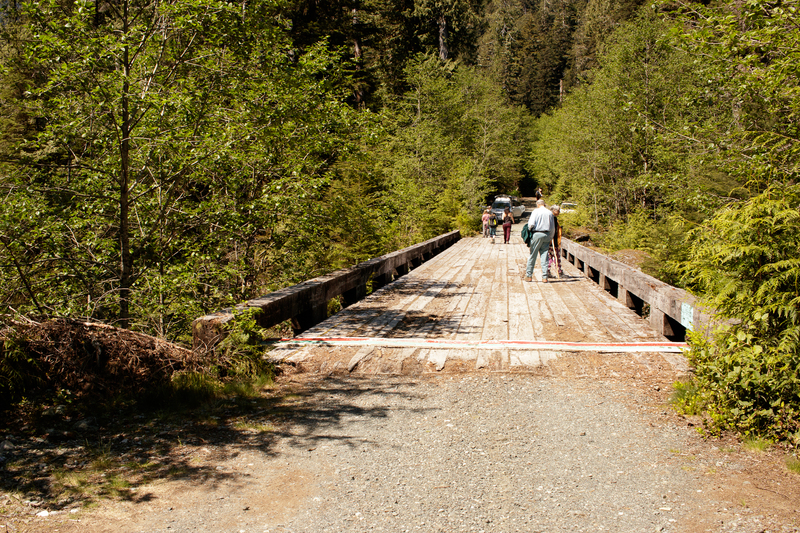 However, there was so much to capture our fascination up North. From the giant grizzly bear and caribou, to the hundreds of spiders and the collembolans they much upon. The Arctic is indeed an unique place. 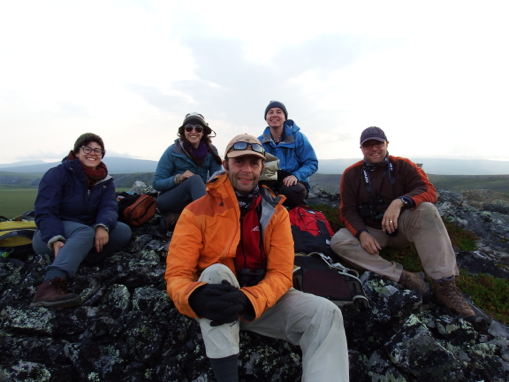 The Arctic biology crew: (l-r) Anne-Sophie Caron (McGill University), me Susan Anthony (Western University), Dr. Brent Sinclair (Western University), Shaun Thurney (McGill University), and Dr. Chris Buddle (McGill University). Photo credit: Mhairi McFarlane. Last week the CBC contacted me about an “infestation” of caterpillars near a local sports and community centre, citing parents’ concern that these could be dangerous for their children. 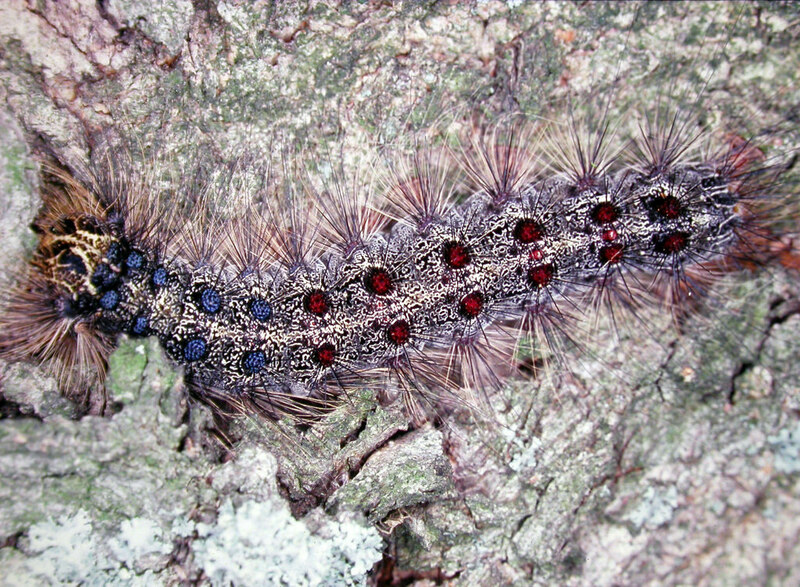 The pine (Thaumetopoea pityocampa) and oak (T. processionea) processionary caterpillars do have a genuine claim to being a public health hazard: the later instars are covered with barbed setae containing an urticating toxin. 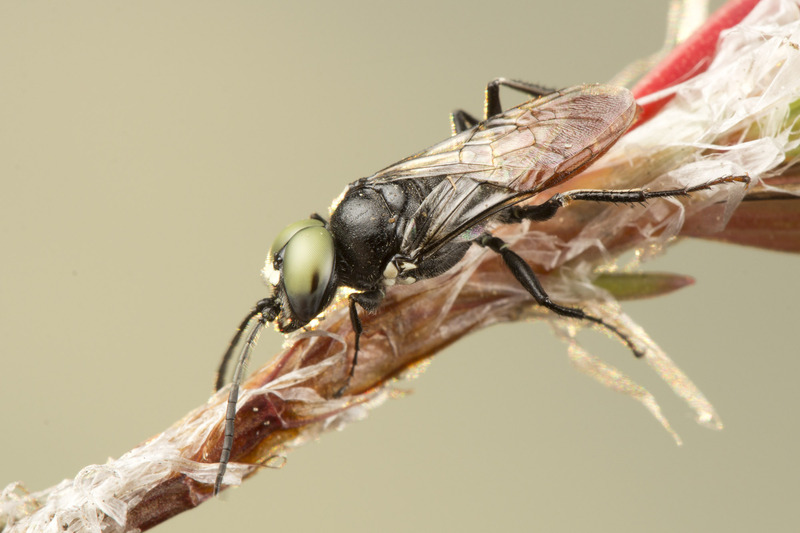 These setae break off readily on contact and can even become airborne: if they lodge in the skin, they can cause a rash, but if they contact the eyes or throat the allergic response can be more serious. 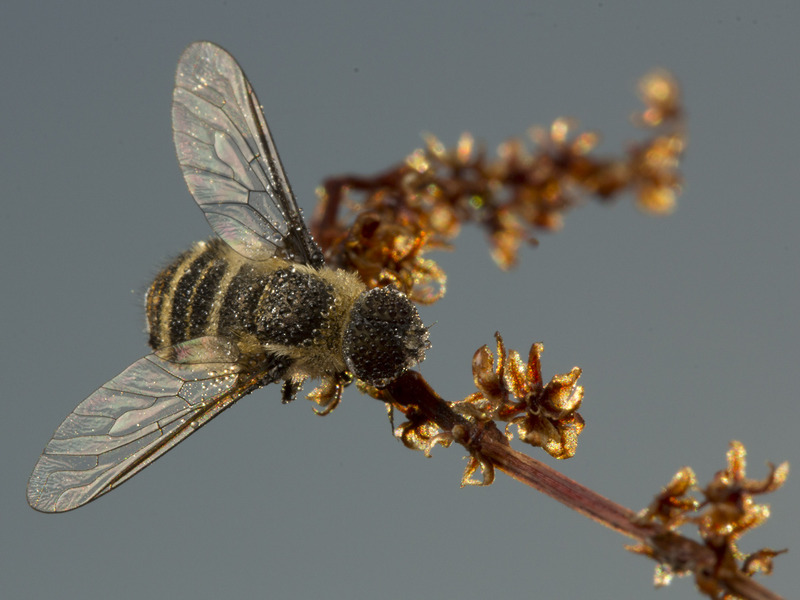 Both are Mediterranean species that are expanding their range and causing concern in Northern Europe among people without prior experience. Neither has been reported in North America. 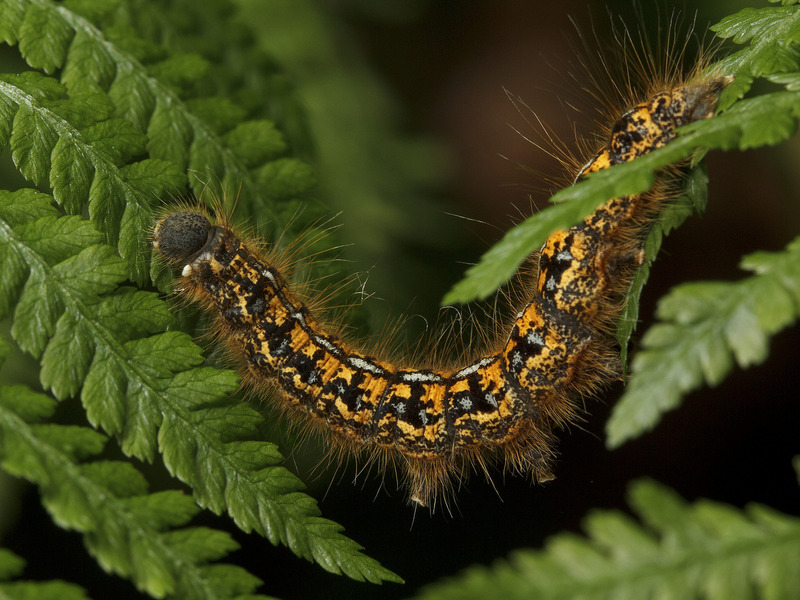 There are several species of hairy caterpillars in Quebec: Eastern tent caterpillars, forest tent caterpillars, gypsy moth and woolly bears among the most common. None have the allergenic properties of processionary caterpillars. So what were these caterpillars invading the community centre? Forest tent caterpillars (Malacosoma disstria) and gypsy moth (Lymantria dispar). Neither has any history of causing allergies or any other health consequences, except for possibly causing abortions in mares who eat large numbers of them. Gypsy moth caterpillar, one of the species found in the community centre. Photo by Brad Smith, used under terms of a Creative Commons BY-NC 2.0 Licence. I have handled forest tent caterpillars for years, as have many other researchers, the students in my lab as well as my own children. We have also given hands-on science exhibits, in which countless other children have handled them. Fitzgerald’s classic 1995 book The Tent Caterpillars contains a chapter on “Maintaining Colonies and Suggestions for Classroom Activities”. No-one to my knowledge has had an allergic reaction. Does this mean that it is impossible that someone be allergic to the hairs on these caterpillars? 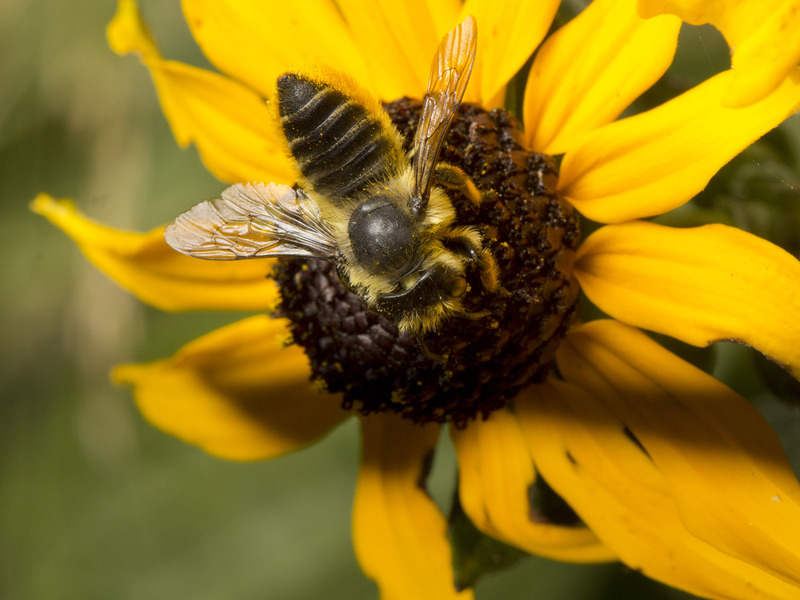 Of course not, allergies are very diverse, widespread, complex and poorly understood. Some people are allergic to laundry detergent, others to strawberries. Are there any benefits to be gained by children handling caterpillars? First, it’s hard to stop them. Children are curious and intrigued by the world around them, and caterpillars are ideal experimental subjects: they move and do interesting things, but not too fast. They can be herded and driven across bridges, housed in jars and passed from one finger to the next, but never entirely controlled as they generally manage to escape somehow. This kind of non-directed, curiosity-driven play is just the sort that develops scientific thinking. 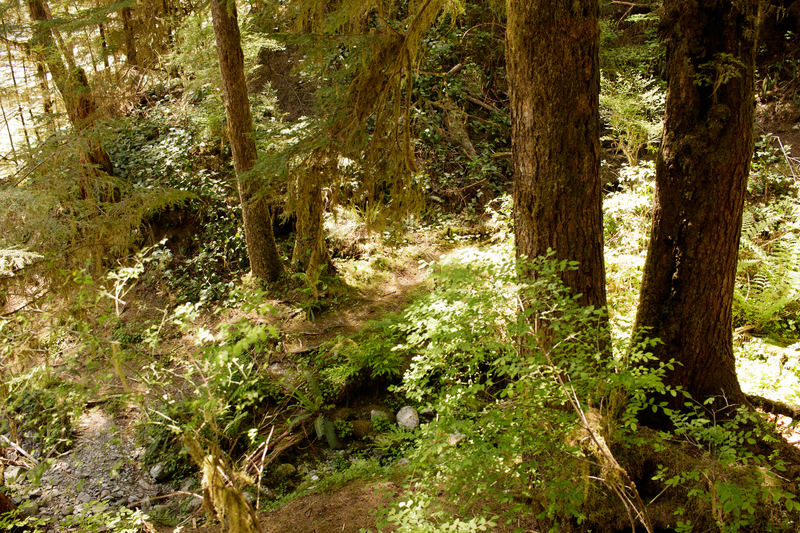 In addition, spending time with nature calms people, children and adults alike, and helps them recover from stress. Finally, conservation ethics – a feeling that the natural word is precious and deserves protection for its own sake – develops in childhood, through non-directed play in nature. A type of play that is becoming less and less accessible for an increasing number of city-dwelling children. Instilling fear of the natural world – fear of even something as cute, slightly ridiculous and totally innocuous-looking as a fuzzy caterpillar – cannot be a good way to go, in a world that increasingly needs calm, unstressed people with conservation ethics. 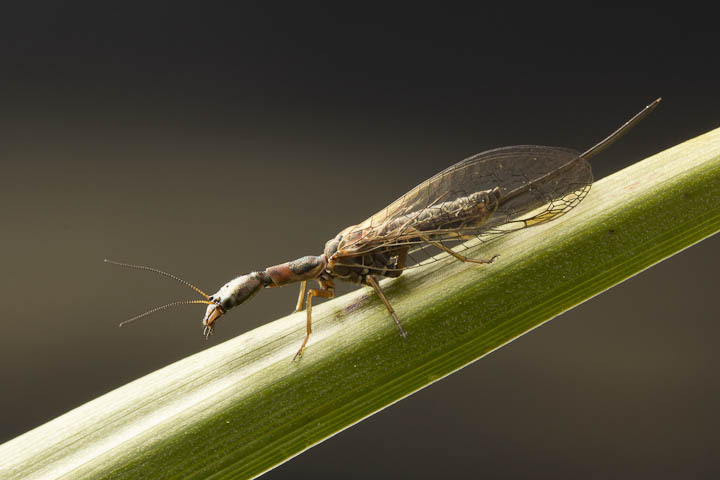 If you are a fan of Canadian neuropteroids, your bucket list should include a trip out west to see one of our best selling points: the Raphidioptera, or snakeflies. 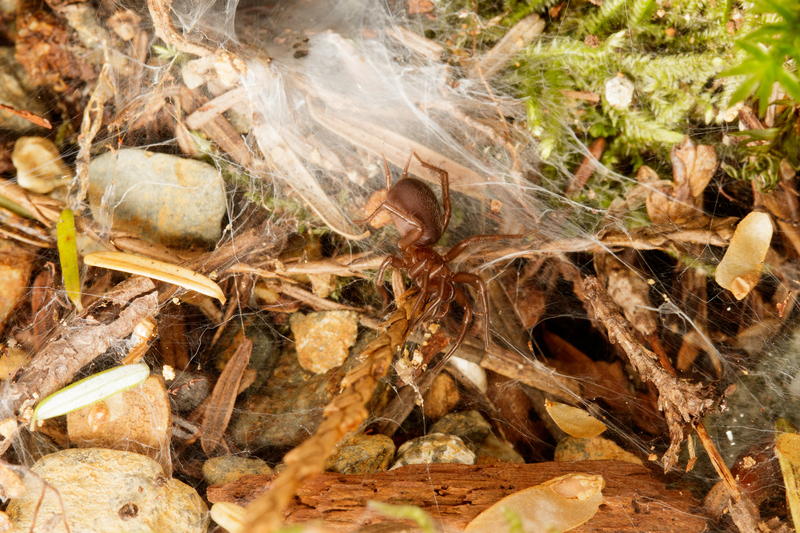 The most common of these are in the genus Agulla, and this morning I found several female Agulla when out for a walk at Mt. Tolmie in Victoria. 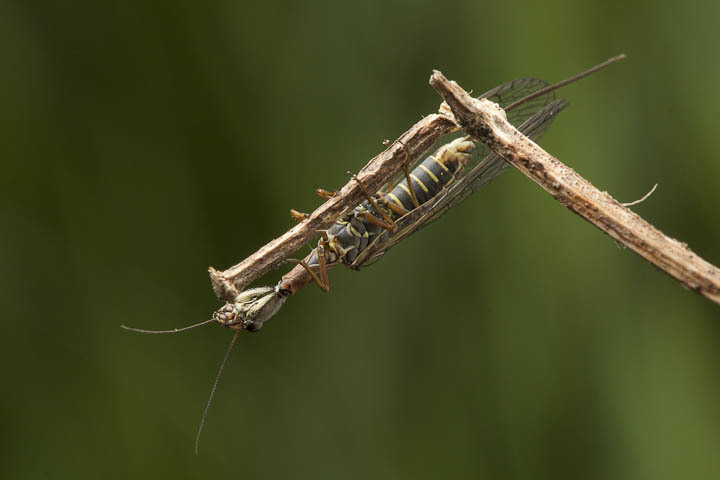 The way the pronotum curls around the anterior of the elongated thorax like a little jacket is strangely pleasing. 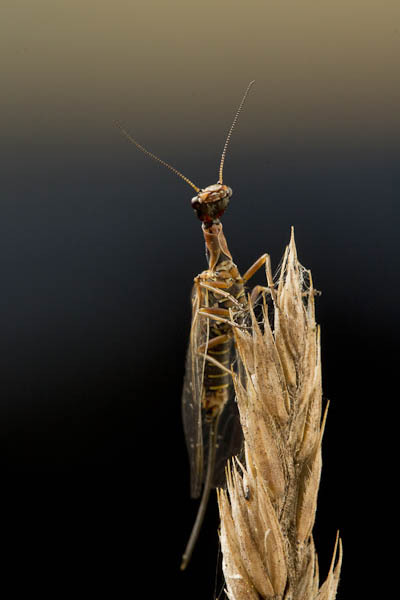 Snakeflies have a fully motile pupal stage, something I found out just the other day, finding this pupa in a decaying branch of Garry Oak. 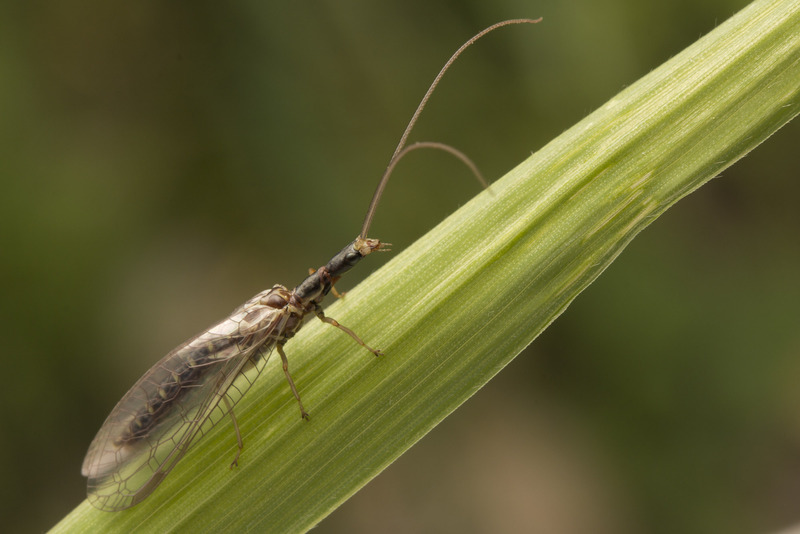 Here is a freshly-emerged snakefly I found in Oregon a few weeks ago. 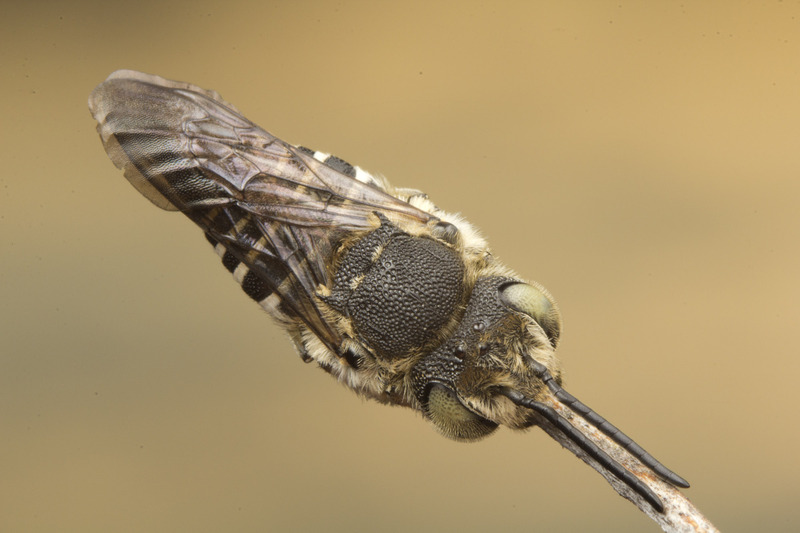 Note how the wings appear milky and the antennae are not fully hardened. I had hoped to catch these against a blazing orange dawn, but like so many dawns on the west coast, today was rather cloudy. 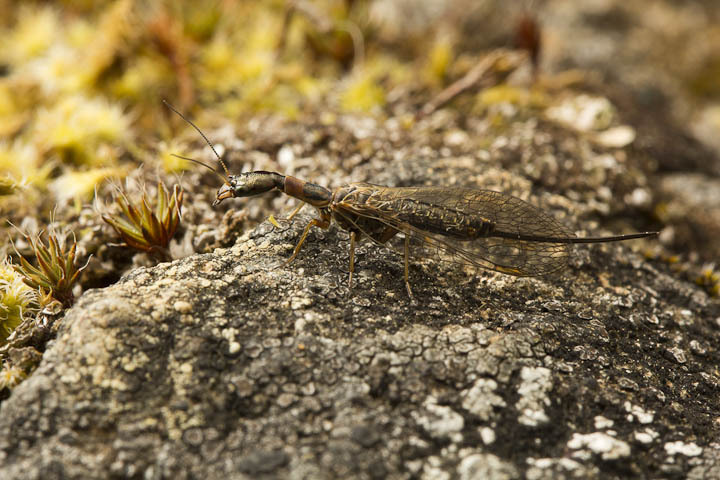 Against the mossy bedrock of the Garry Oak meadow, the female snakefly blends in quite well. So if you are ever on the west coast at this time of year, please look for these awesome creatures. You will be glad you did. 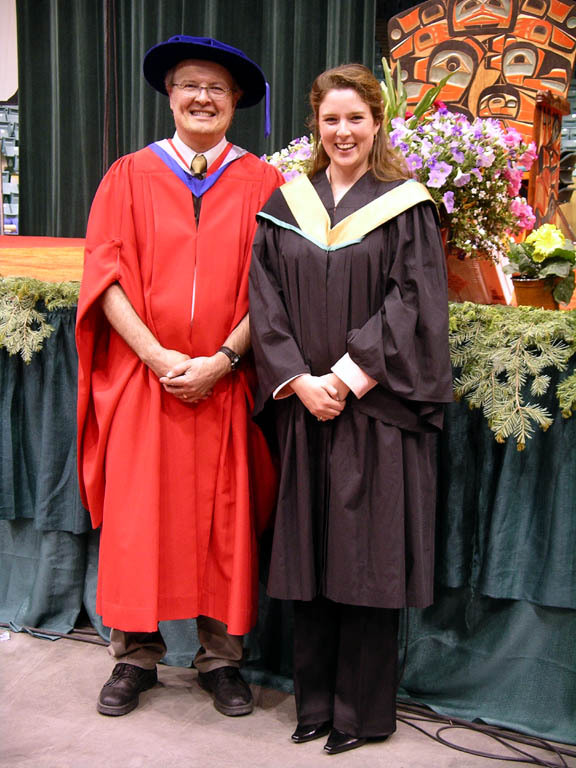 Staffan with Graduate student Jeanne Robert, 2005. 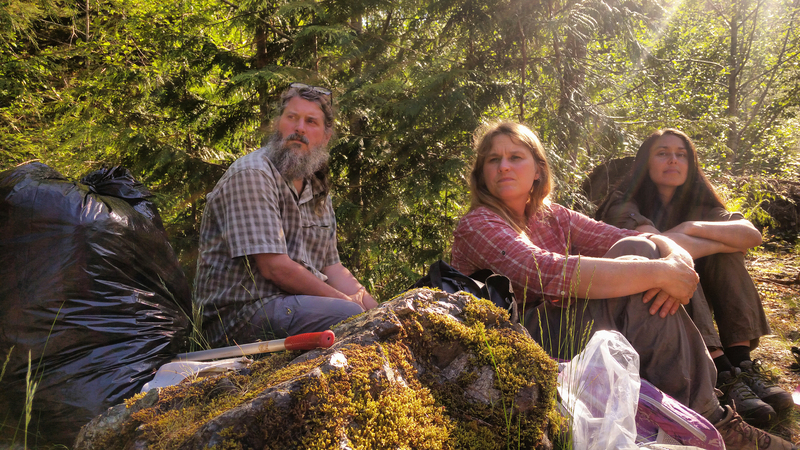 Jeanne went on to do a PhD at UBC, then came back to UNBC, where she worked as a post-doctoral fellow and then a Research coordinator for the UNBC NRESi Biodiversity Monitoring & Assessment Program. She is now the Regional Entomologist, Northern Region, for the BC Ministry of Forest, Lands and Natural Resources Operations, Prince George, BC. I was lucky to have a great graduate student. Was she lucky? Only through hard work! When I was about 10 years old I won a competition in a hobby magazine, which landed me a nice race car track. Since then I have not won anything, really. Yet, I consider myself a lucky person, not only because of a great family life, but because opportunities have always seemed to pop up just when I needed them. But looking back, I would say that my luck was in large part self-made. 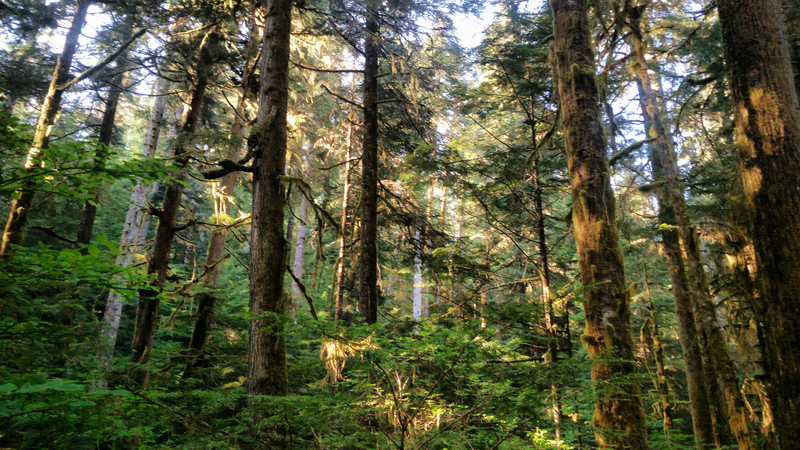 Over the years, I had made sure I had summer and temporary jobs that gave me appropriate experience, e.g., as a substitute teacher, forest regeneration surveyor, etc. 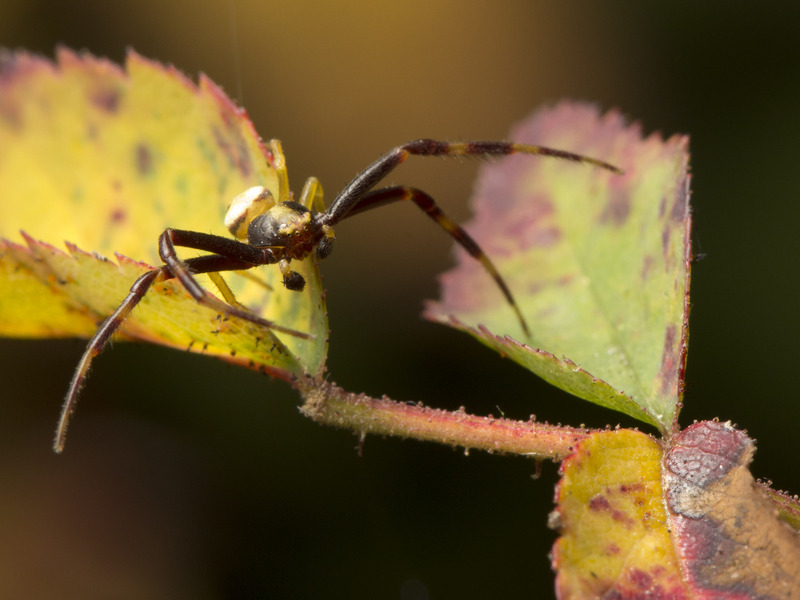 When I was doing my undergraduate degree in Sweden, the course offerings in the fall of 1973 were not to my liking, so I landed a job as a research assistant to a PhD student studying spiders. 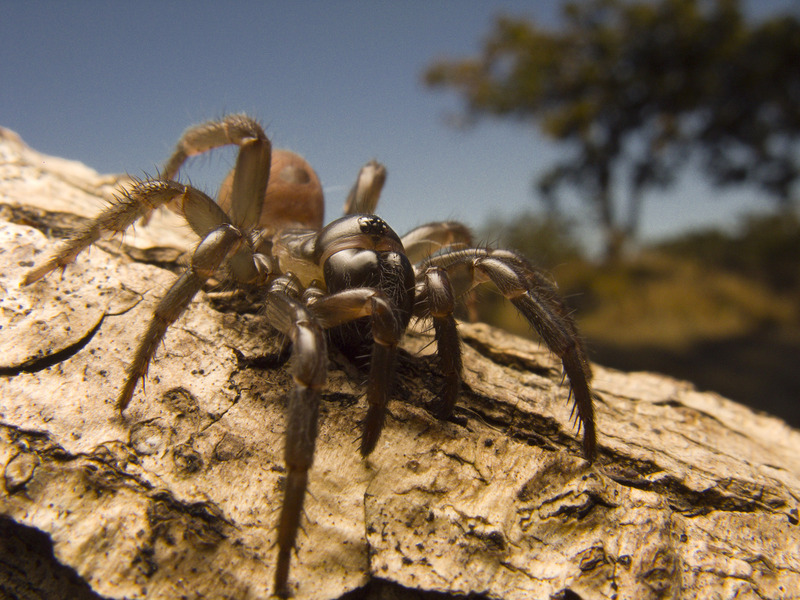 But the reason I did, was that I had a longstanding interest in spiders, so I had connected with the student long before that. For example, as a 12-year-old, I wrote to Professor Åke Holm, Uppsala University, after reading a newspaper article posted on a board in my English teachers classroom. Dr. Holm was then Sweden’s pre-eminent spider taxonomist, and had published my first spider book (Holm 1947). 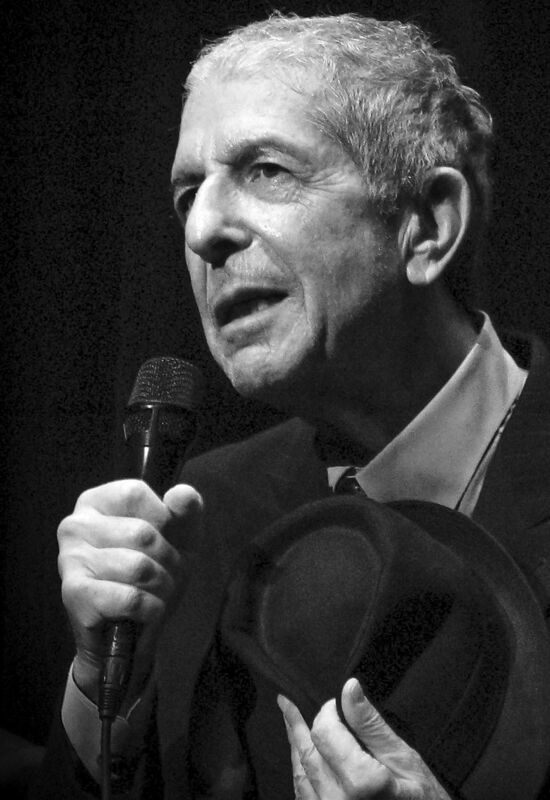 His kindness and encouragement has served as a model for me throughout my career. After I graduated with my undergraduate degree, I made a misguided attempt at a PhD in medical endocrinology, studying testosterone secretion in rats. Apart from five small publications (Carstensen et al. 1976, Lindgren et al. 1976, Damber et al. 1977a, Damber et al. 1977b, Bergh et al. 1982), I came away with a bruised ego and a severe allergy to rats. 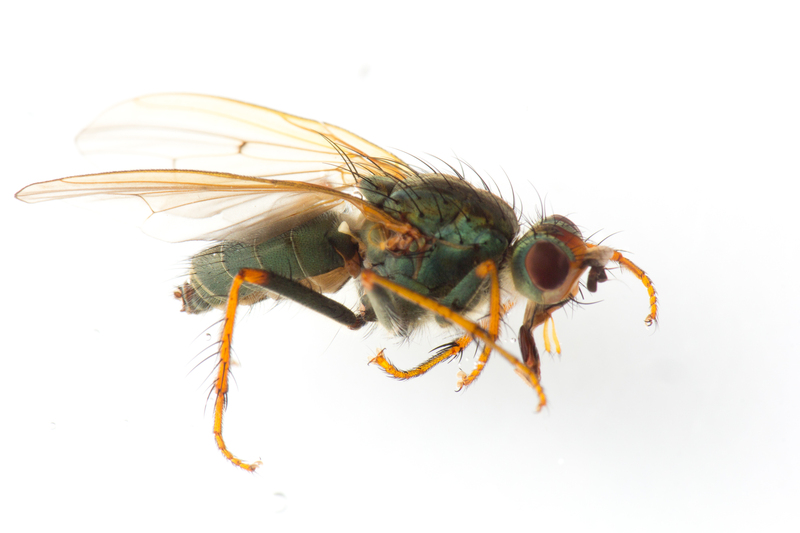 After my failed 2-year forage into mammal reproductive physiology, I realized that I needed to re-focus on my first love, which was entomology. The first thing I did was to contact (by which I mean that I wrote a letter ) Dr. Bertil Lekander, professor of forest entomology at the Royal College of Forestry, Stockholm, Sweden. He offered to take me on as a special interest student in the two forest entomology courses offered to future foresters. To make a long story short, this led to a life-long association, albeit informal, with Swedish forest entomologists. For example, I published my Master of Pest Management Professional Paper as a Forest Entomology report (which also has a long story associated with it, the main lesson of which is the old adage “It’s not what you say, but how you say it”), and I had the privilege of spending 6 months as a visiting scientist at SLU in Uppsala in 1993 thanks to the connections I made there. Nevertheless, a few courses did not lead to a specific job, so once that was done I was once again without a firm direction in life. 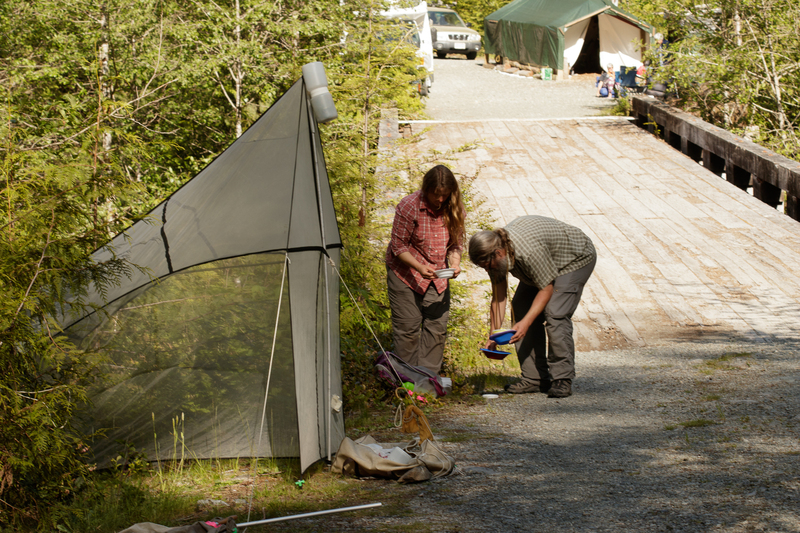 Because I had made many friends and connections in the Department of Ecological Zoology at Umeå University, in part through the spider job, but also through volunteering every spring and fall on an annual 4-day microtine rodent survey (Hörnfeldt et al. 1986) I got wind of a 4-month Teaching Assistant position in the Department of Health and Environment, which I was offered (notably in competition with another future entomologist, Anders N. Nilsson, who became a world authority on aquatic beetles). This position involved leading a class trip to the Soviet Union, among other things. 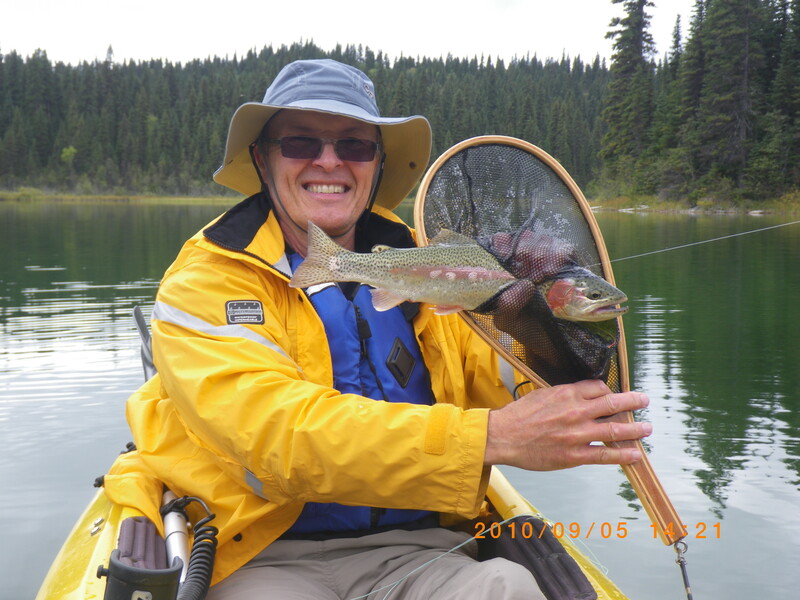 Staffan with a nice rainbow trout from Wicheeda Lake, north of Prince George. Now this may have been luck, because I don’t work hard at my fishing skill! At the end of that position, I had started the proceedings to go to Canada, which ultimately led me to where I am today. Again, this was not something that happened by accident. In 1968-69, I spent a year in central Michigan as a high school exchange student. This was an extremely formative experience for me. It made me confident that I could succeed in an English-speaking environment, and it shaped me politically (it was the height of the Vietnam War, two political assassinations , Martin Luther King, Jr. and Robert F. Kennedy, Jr., had happened earlier in 1968), and there were significant racial tensions throughout the US. Anyway, I had become convinced that applied science was the only worthwhile pursuit in terms of education (see my earlier post here), and had found the Centre for Overseas Pest Research, a British organization. (Remember that there was no Google or internet, so all of this was done through libraries and by asking for information by mail). I received a letter back that they could only offer employment to “British subjects”, but they passed on a brochure about the Master of Pest Management program at Simon Fraser University. This seemed like the ticket to my future, so I wrote to SFU. The response was positive, so I decided to apply. But I needed funding. Fortunately for me, I managed to land a fellowship from the Sweden-America Foundation, and in combination with the relatively generous student loans from the Swedish Government, I all of a sudden found myself in a position to go to Canada! And the rest is history, as they say! If people know you, they will pass on information that may lead to your big break. Treat people with respect, i.e., treat them the way you wish to be treated. If you are well liked and respected, it will make a difference when you are looking for references or recommendations. This is particularly important when dealing with workers. I found that by showing an interest in, and respect for, their experience and knowledge rather than acting superior, you gain their trust and respect, and they will welcome your opinion. Don’t hesitate to seek help or advice from professors, no matter how eminent or important they are. 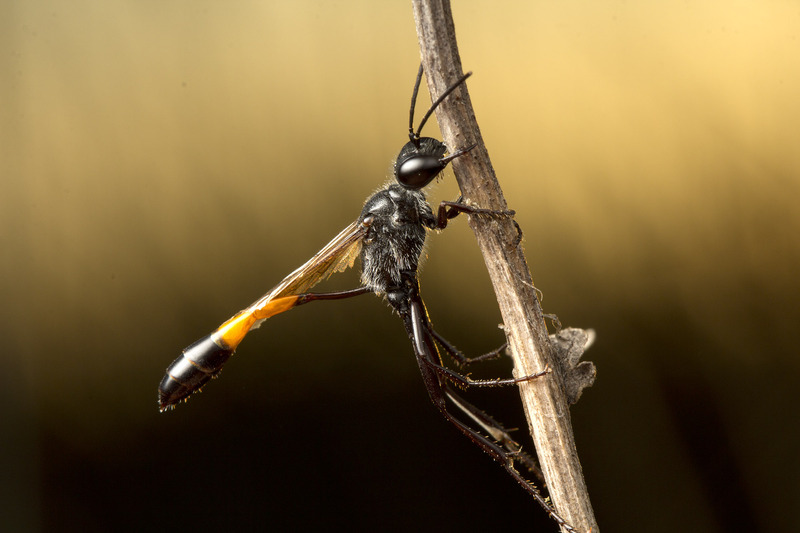 In entomology in particular, I have been amazed at the kindness and generosity I have encountered from people really had nothing to gain by responding or talking to me. The worst that can happen is that you don’t get a response, or one that makes you steer clear of that individual (which has yet to happen to me). We all have weaknesses. Work on them. I used to shake like a leaf when having to address an audience. Some of the best scientists and public speakers I know suffer from extreme nervousness, but they have learned to cope with it. If you suffer from nerve problems, seek help, or at least give yourself experience. There are tricks to help you, and you’d be amazed how experience helps! Never, ever pretend you know something you don’t. Honesty always pays off in my experience. Finally, and most importantly, follow your heart. If you are passionate about what you do, you are more likely (and able) to build experience, which in turn becomes as important, or more so, in a job interview. These are some ways to “make you lucky”. Just like an athlete has to put time and effort into achieving their goals, we do as well. Bergh, A., J.-E. Damber, and S. Lindgren. 1982. Compensatory hypertrophy of the Leydig cells in hemiorchidectomized adult rats. Experientia 38:597-598. Carstensen, H., S. Marklund, J.-E. Damber, B. Näsman, and S. Lindgren. 1976. No effect of oxygen in vivo on plasma or testis testosterone in rats and no induction of superoxide dismutase. Journal of Steroid Biochemistry 7:465-467. Damber, J.-E., H. Carstensen, and S. Lindgren. 1977a. The effects of barbiturate anesthesia and laparotomy on testis and plasma testosterone in rats. J. Ster. Biochem. 8: 217-219. Damber, J.-E., S. Lindgren, and B. Näsman. 1977b. Testicular blood flow and oxygen tension in unilaterally orchidectomized rats. Experientia 33:635. Holm, Å. 1947. 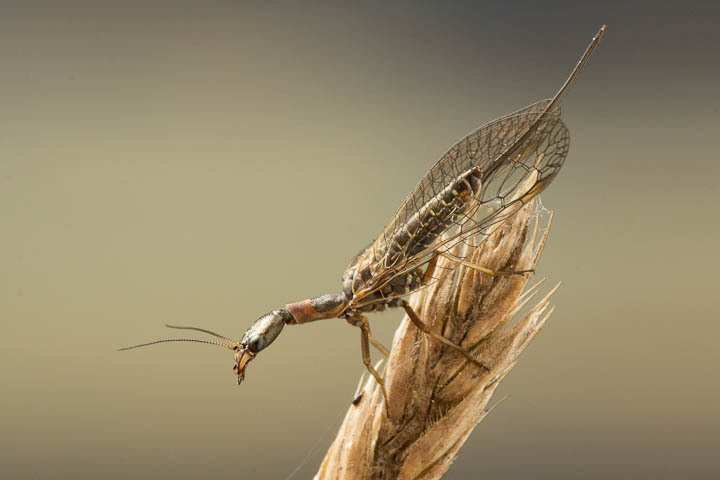 Svensk spindelfauna. 3, Egentliga spindlar. 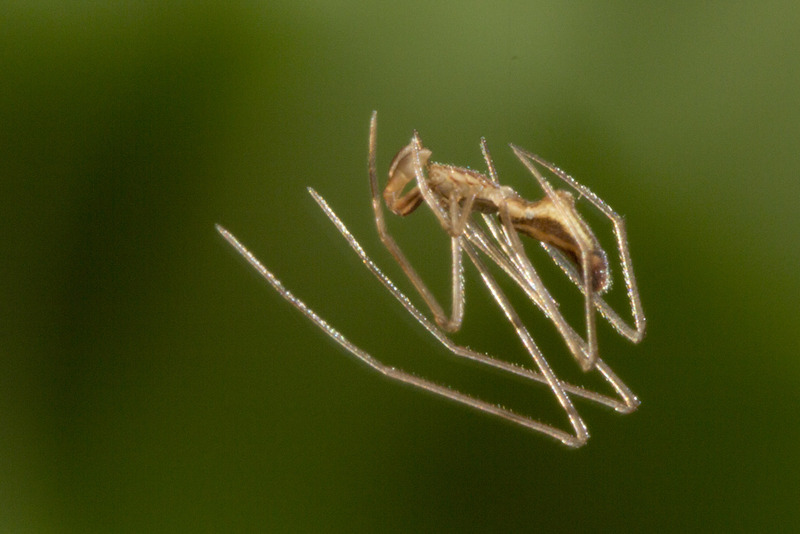 Araneae Fam. 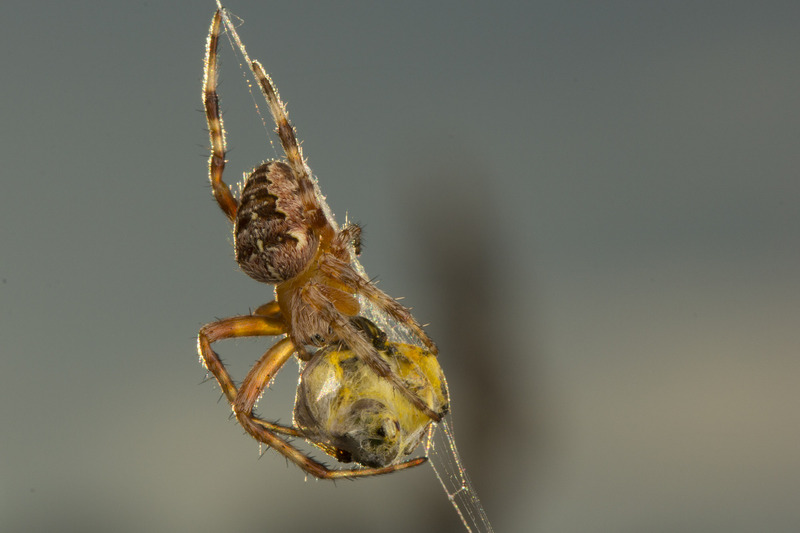 8-10, Oxyopidae, Lycosidae och Pisauridae. Entomologiska Föreningen, Stockholm, Sweden. Lindgren, S., J.-E. Damber, and H. Carstensen. 1976. Compensatory testosterone secretion in unilaterally orchidectomized rats. Life Science 18:1203-1205. Sean McCann http://esc-sec.ca/wp/wp-content/uploads/2017/01/ESC_logo-300x352.png Sean McCann2016-04-21 06:00:002017-10-19 20:21:23Are you feeling lucky today? Is it possible to improve your “luck” in academia?